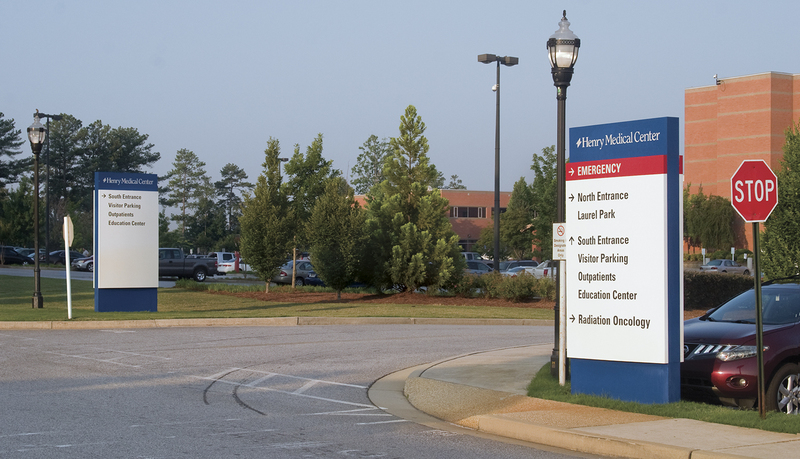 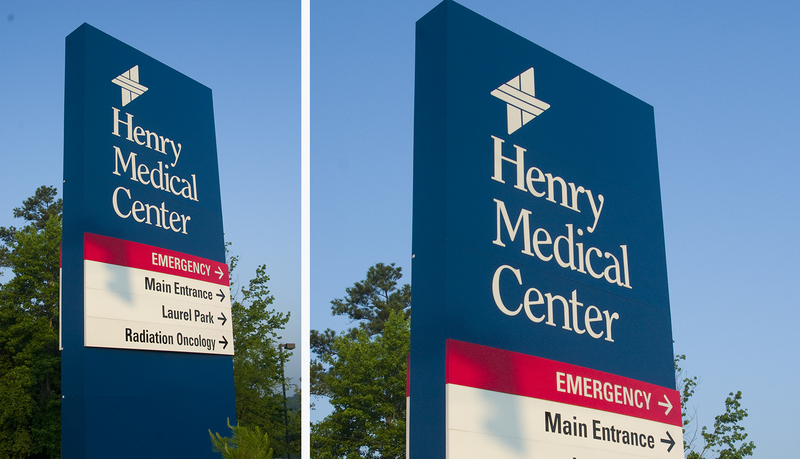 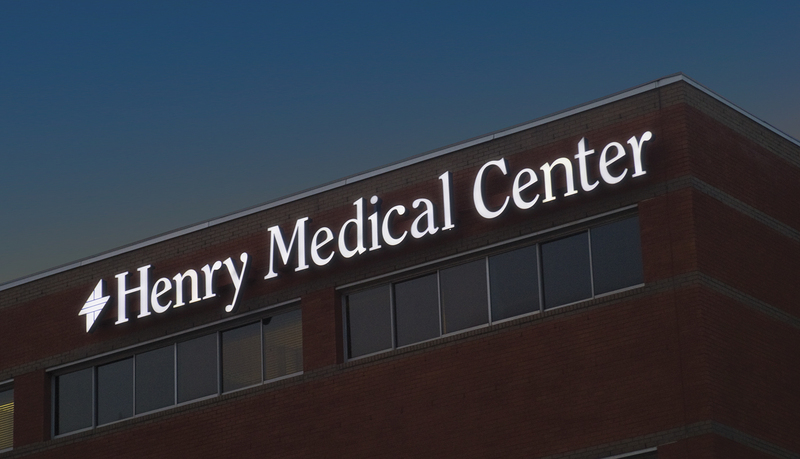 Henry Medical Center (HMC) is a 240,000 square-foot, 215-bed non-profit community hospital located south of Atlanta that is dedicated to providing superior healthcare services. 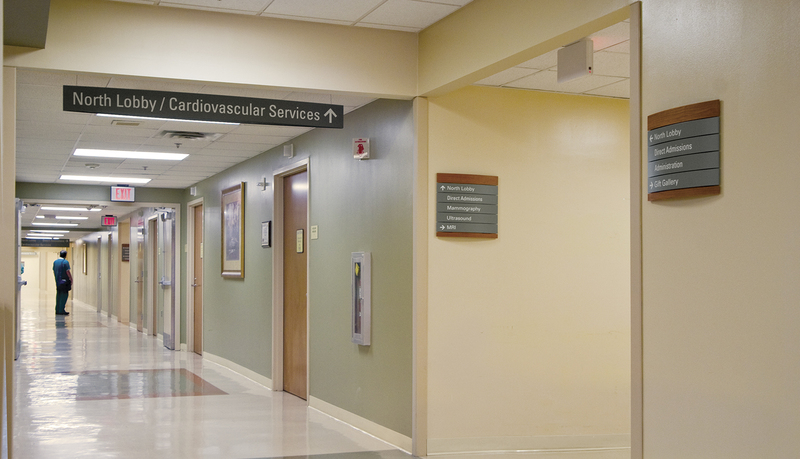 At HMC, leading technologies and first class services come together to provide high-quality care for medical services ranging from cardiovascular and orthopedic care to women’s health and wound care. 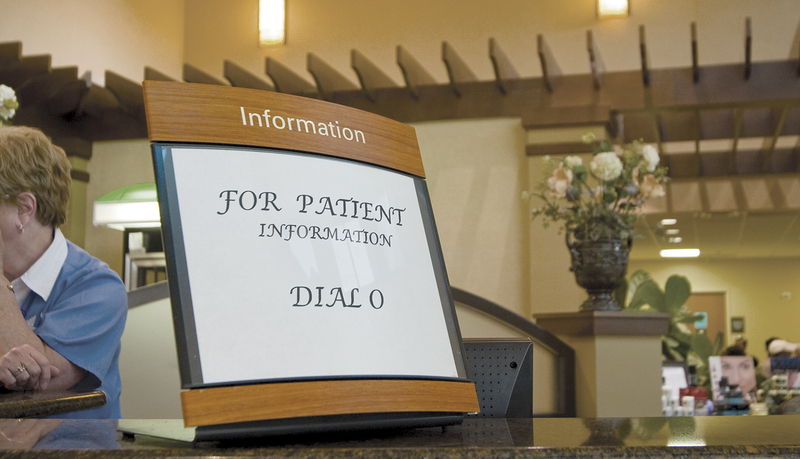 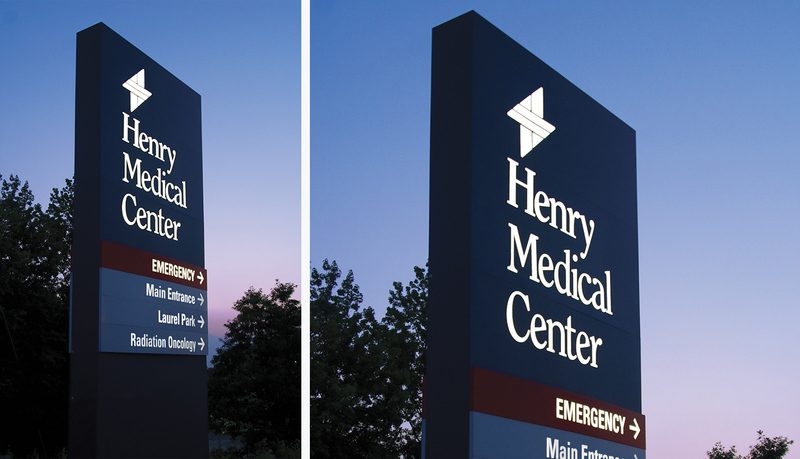 When HMC expanded from 124 to 215 beds by adding several new medical service centers, the existing wayfinding and signage solution became obsolete and needed to be updated to guide patients, visitors and staff to the right place in the hospital. 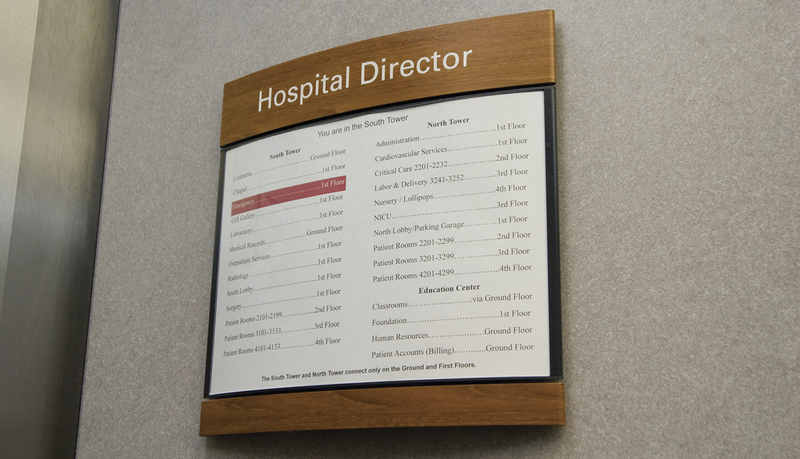 The new signage implementation needed to complement the interior design solution from CDH Partners, Inc., which focuses on reducing stress and creating a calming, healing environment through the use of natural light, works of art, soothing colors palettes and natural wood grains. 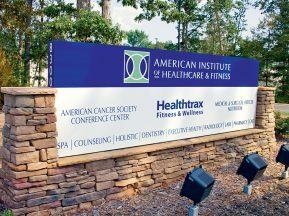 ASI was brought on board to provide a complete wayfinding and signage solution that contributed to the “healing-focused” interior design theme, the overall program needs and the quaint, southern community atmosphere while helping to unify the existing hospital with the new expansion areas. 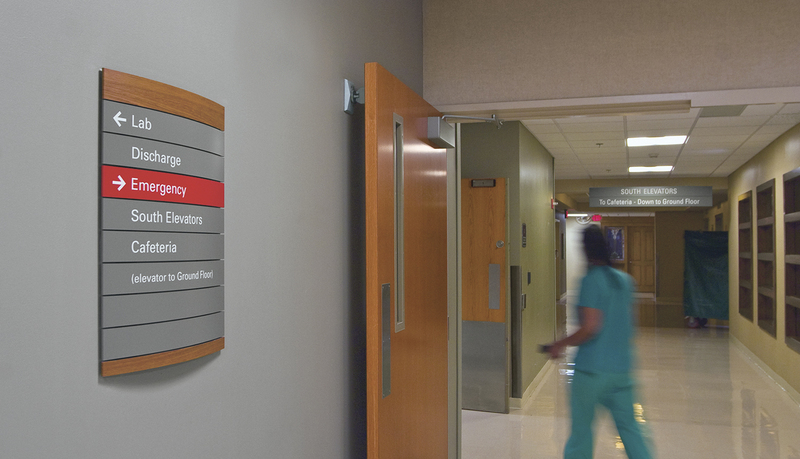 After consulting with HMC staff and the designers at CDH Partners, ASI determined the need for a flexible interior signage solution that could accommodate future hospital changes and expansions, while contributing to the healing-focused environment. 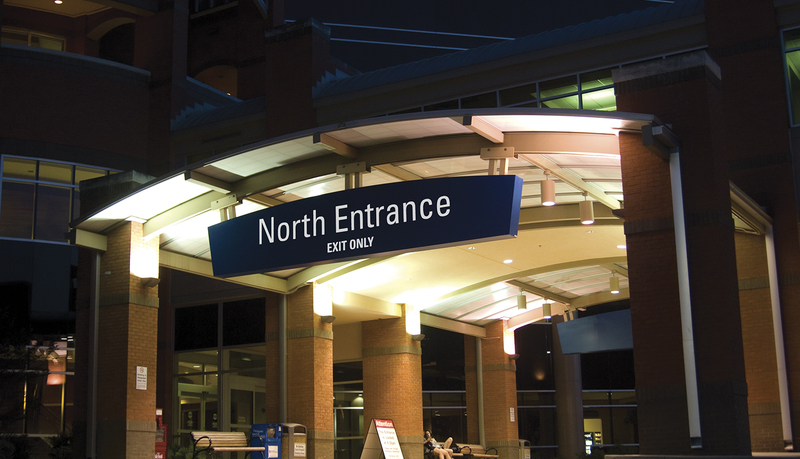 ASI recommended its curved-face modular signage solution, Pacific Interior™, to help meet these needs for the interior spaces. 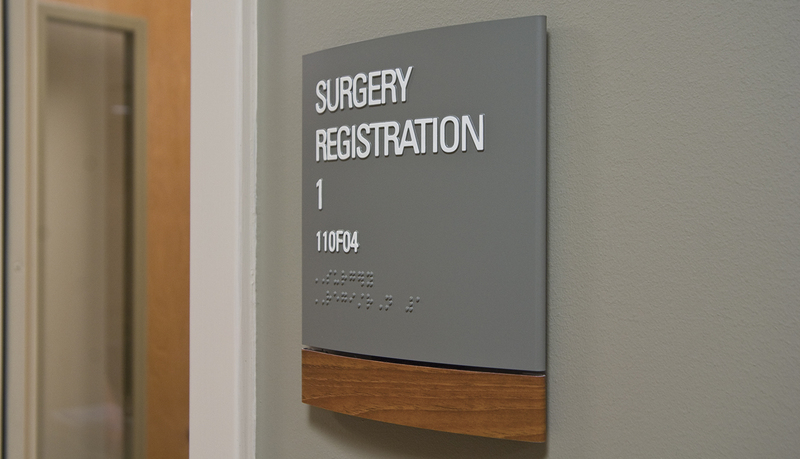 The simple lines and graceful appearance of Pacific Interior™ complement HMC’s healing-focused environment and the application of natural woodgrain decorative foils direct to the curved panels made it the right solution for HMC. 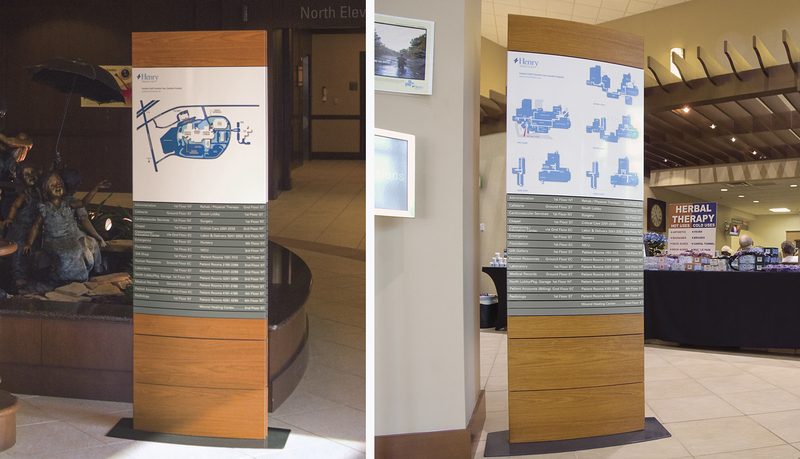 The interior solution includes directionals, directories, suspended and room ID signs. 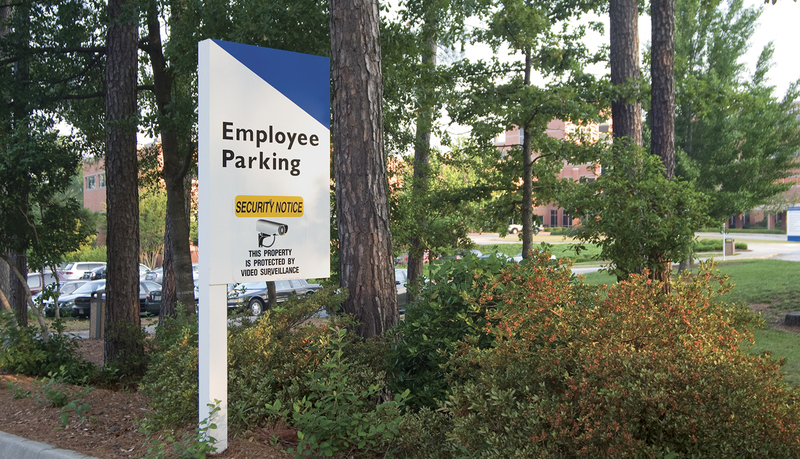 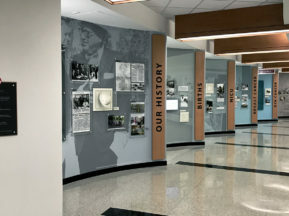 In addition to the interior signage, ASI provided a complete exterior signage solution comprised of curved-face internally-illuminated pylons and monuments and illuminated channel letters mounted to the north and south of the entrances. 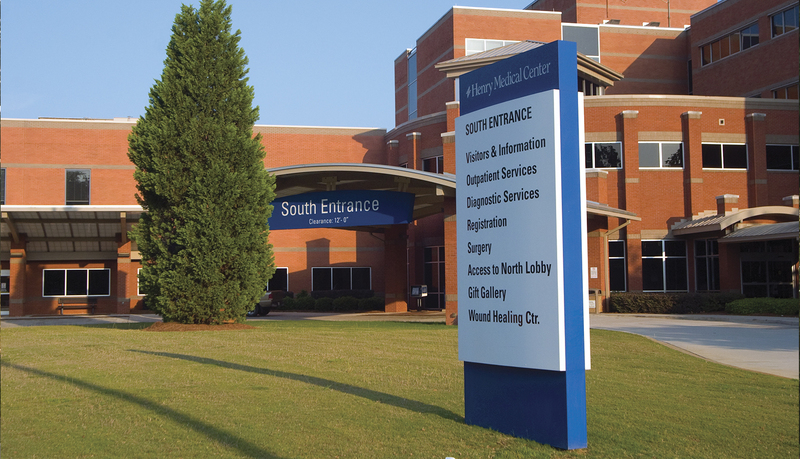 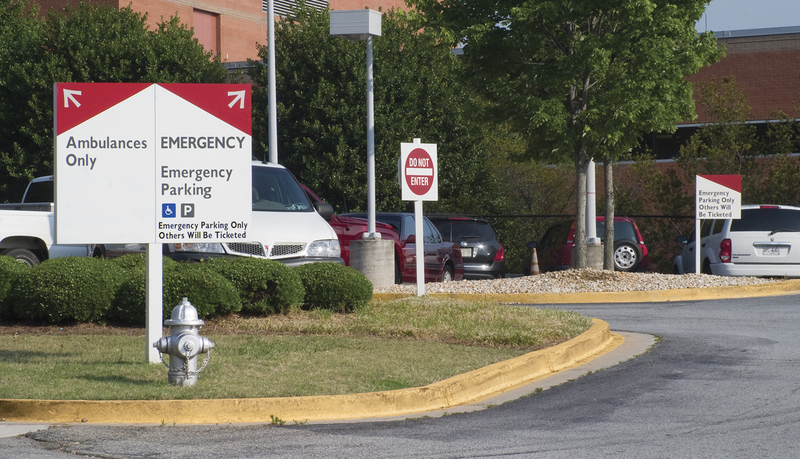 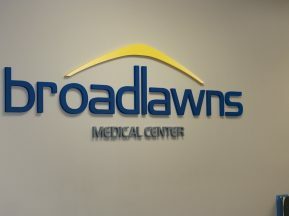 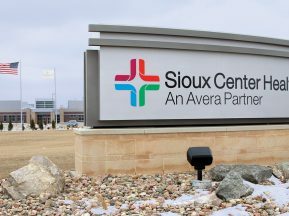 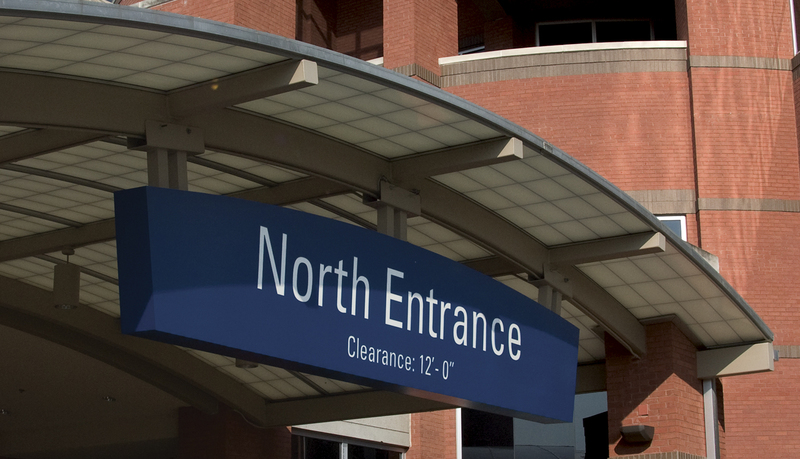 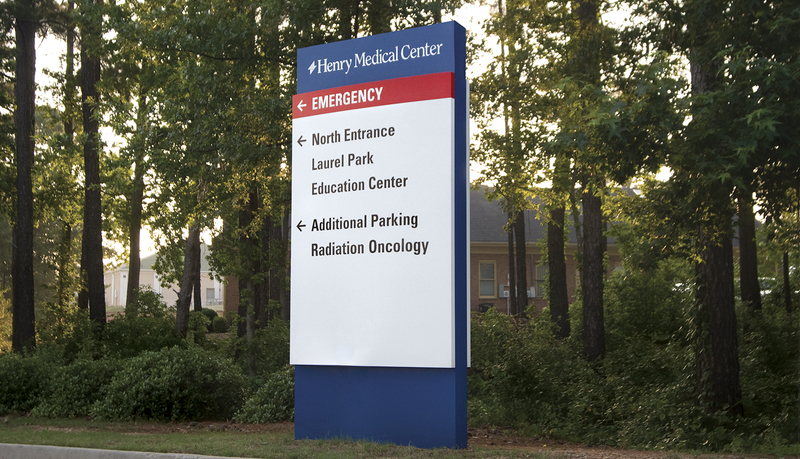 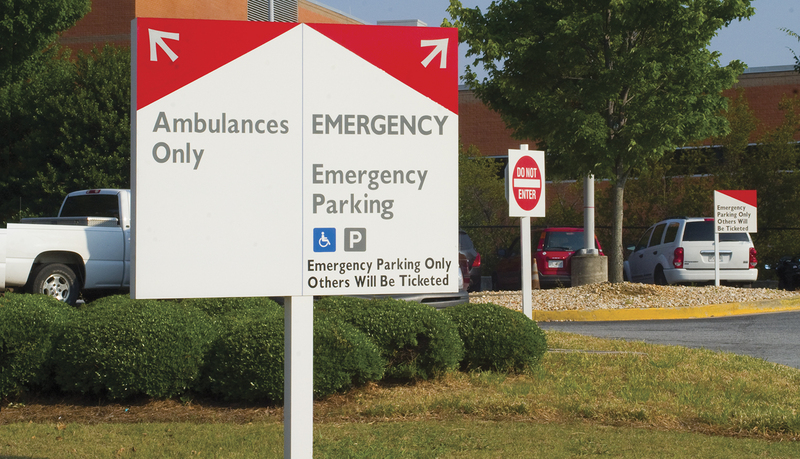 The 32’ high exterior pylon signage solution is clearly visible day or night to arriving patients and visitors, and the clear messaging and directional information helps ensure they arrive at the right place.